Senate Concurrent Resolution 002 (SCR14-002) passed the Senate today on a unanimous vote. Since it is a Senate Concurrent Resolution, the bill needed a 2/3 vote of the Senate to pass. SCR14-002 would put a measure on the upcoming November ballot that would ask the voters to approve an amendment to the Colorado Constitution to protect citizens’ electronic data from unreasonable search and seizure. The measure would apply to electronic data contained on cellphones, email accounts, and various other sources of electronic data. Senate Concurrent Resolution 002 (SCR14-002), sponsored by Senator Greg Brophy (R-Wray) and Senate President Morgan Carroll passed out of the Senate Judiciary Committee on a bipartisan 5-0 vote last Wednesday. SCR14-002 is the Associated Press’ bill to watch in the Colorado Legislature this week. In the 2014 Legislative Session, Republicans have consistently promoted personal privacy issues. Senator Kevin Lundberg’s bill (SB-193) to prevent the government from acquiring an individual’s location information from an item such as a GPS receiver without first acquiring a warrant passed out of the Senate Judiciary Committee on a bipartisan 4-1 vote last Wednesday. 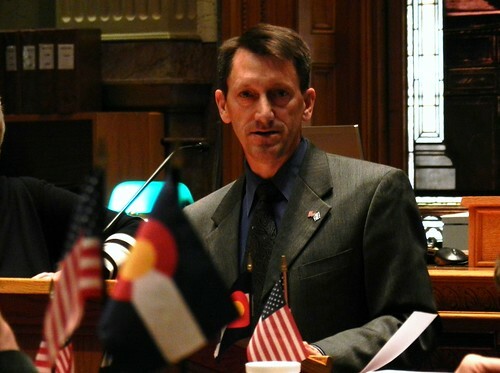 Senator Scott Renfroe’s bill (SB14-181) to ban traffic cameras has received wide bipartisan support and a bill to restrain passive surveillance sponsored by Senator Mark Scheffel (HB14-1152) was recently signed by Governor Hickenlooper.